What is this? National service or a job fair? 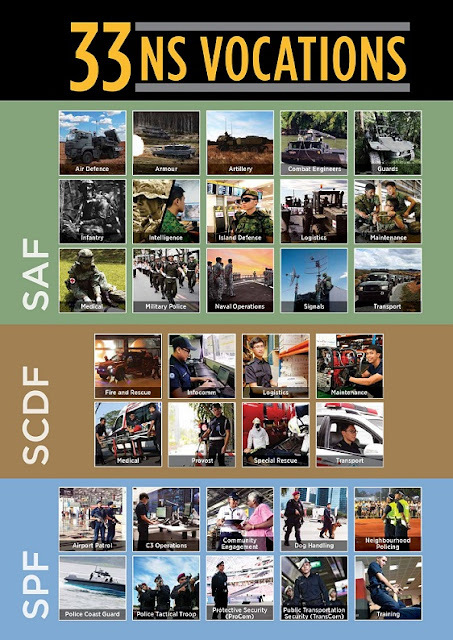 Last week, it was announced that those starting NS in November next year will get to choose from 33 vocations in the Singapore Armed Forces, Singapore Police Force and Singapore Civil Defence Force. 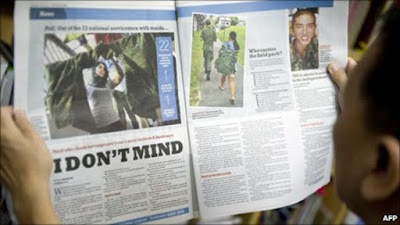 Might as well reduce full-time NS to two years for all NSFs. Might as well eliminate chin-ups from IPPT. Might as well get a maid to carry your army field pack for you. In my day, I didn’t have a maid to carry my bag for me. I asked my mother. Kids today are so lucky. Of course, that was exactly what the older guys said to me 30 years ago too when I did my full-time NS. They would tell me about how they had to starch their uniforms and polish their boots until the sergeant could see his reflection in the footwear to admire his handsomeness. It has become a tradition for earlier generations of servicemen to lament how the younger ones have it much easier. 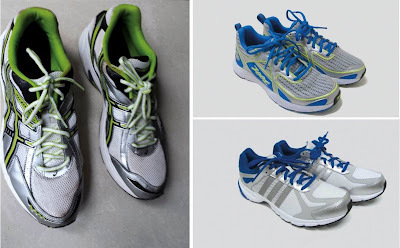 For example, in recent years, soldiers got branded sports shoes from New Balance, Brooks, Asics, Adidas and Zoot. In my day, the only brand we got was PT because that was what we called them — PT shoes. PT stands for “physical training”. And unlike the new iPhone 7, the shoes didn’t come in jet black or matte black. They were just black black. Breakfast was “fried rubber bands, otherwise known as fried bee hoon”, according to Makansutra’s KF Seetoh, who, at 54, can be considered a “lao peng” (old soldier). On his website, he described how he “thoroughly enjoyed” a piece of fried chicken “until I was told it was pork”. 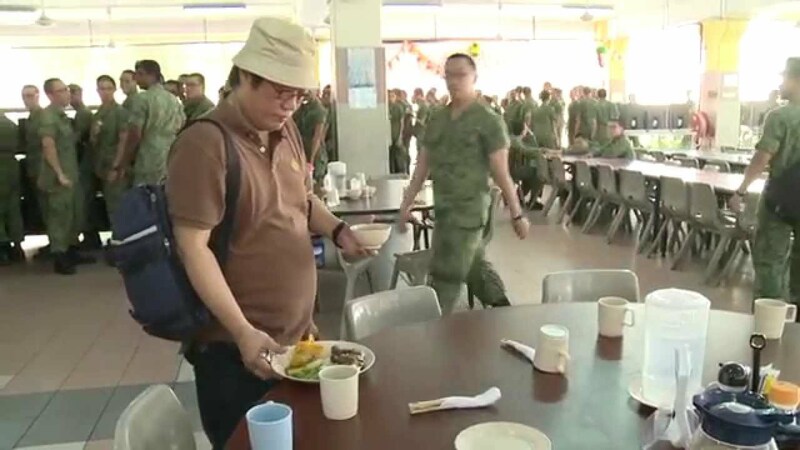 But by 2011, Mindef was so proud of its army cookhouse food that it invited Seetoh and other food critics for a tasting. Could a Michelin Star be next? 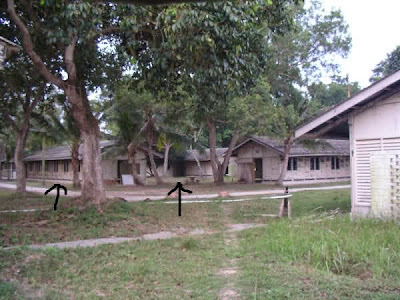 When I was a recruit on Pulau Tekong, I was in Charlie Company with the famously haunted three-door bunk in Camp 1, which has since been closed down. These days, recruits sleep in presumably non-haunted bunks. And on top of all that, they now get to choose their vocation too? I’m surprised “Singapore President” isn’t one of the 33 choices. Head of state aside, the most “switch-off” vocation seems to be Intelligence, which is described as the “eyes and ears” of the SAF, providing “early warnings for the SAF to counteract threats and win the information battle”. If the video on the Central Manpower Base website is anything to go by, Intelligence appears to involve a lot of staring at computer screens in an air-con room, which is what every NSF dreams of. So you have to be pretty un-intelligent to not choose Intelligence. But choosing it doesn’t mean you’ll get it. After “indicating your interest” in the vocations you want, your assignment will be based on your medical fitness, cognitive attributes, skills and the organisational requirements of the different forces. Meaning if everyone goes for Intelligence, not everyone will get Intelligence. But this uncertainty also allows for some serendipity, which is not a bad thing. If I had a choice back then, I would have chosen to be a signaller because I had a diploma in electronics and communications engineering from Singapore Polytechnic. I was so traumatised when I was posted to be a combat medical orderly that I wanted to sign on just so I could choose my vocation. But it was too late. Serendipity was when the navy came to the School of Military Medicine, where I was training, to recruit underwater medics for the Naval Diving Unit, and I volunteered. I was accepted and relieved to get out of army camouflage and into navy blues. If I had become a signaller like I wanted, this column would have been bereft of stories about naval divers, former navy chief Lui Tuck Yew and that time I was caught performing an alleged lewd act in a hotel room while on shore leave in Thailand. Which is why if I were enlisting now, Naval Operations would also be one of the vocations I would “indicate interest” in. Though probably not Medical. I can’t do IVs. But as much as I envy how lucky kids are today, I know that chances are they, too, will envy the kids 30 years from now. Who knows? At this rate, NS could be abolished altogether by then.